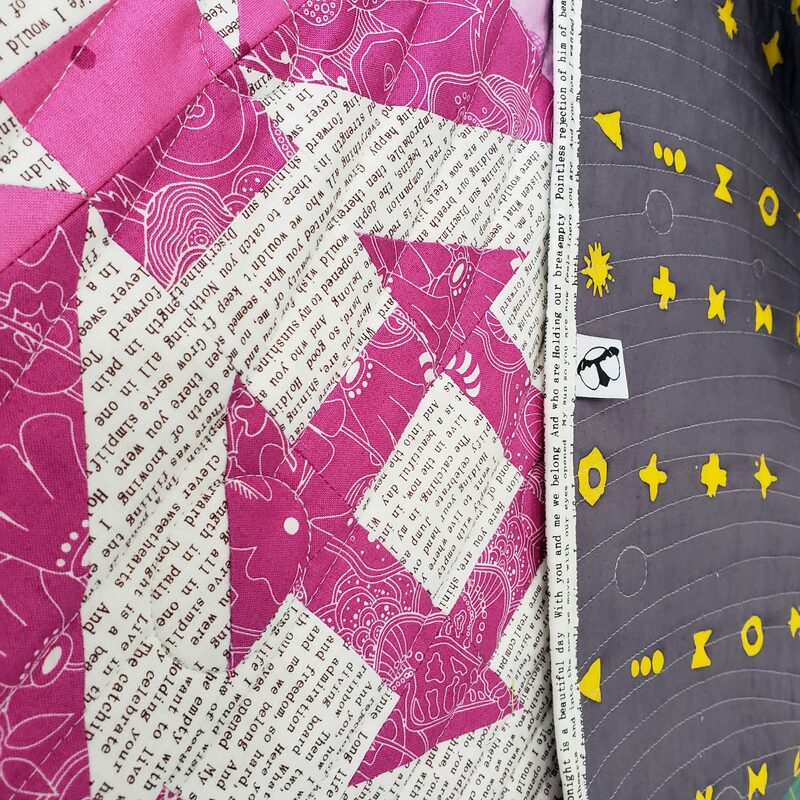 Having a quilt pattern in the 2019 Quilter’s Planner is surreal. I have been an avid user of this planner for the last 2 years, admiring the patterns, beautiful photography, and colorful imagery…not to mention the perfect planning tool for everything! And now, my pattern will be part of that…for an entire year!! The inspiration for this quilt pattern started with a rainbow of fabrics. So many pretty colors in so many different collections! 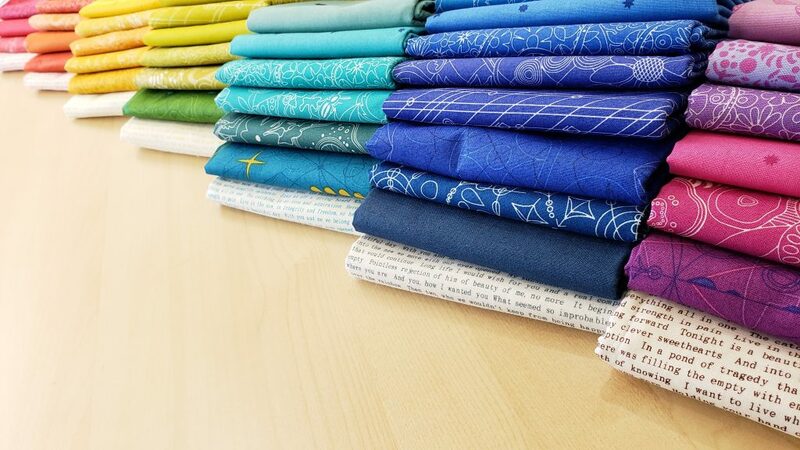 This selection of Alison Glass fabrics is part of a much larger collection I have been gathering for a few years now. The bright saturated colors with the low volume text prints were the perfect mix for my new pattern. The low volume text print also presented an opportunity to match the background with a saturated solid block. 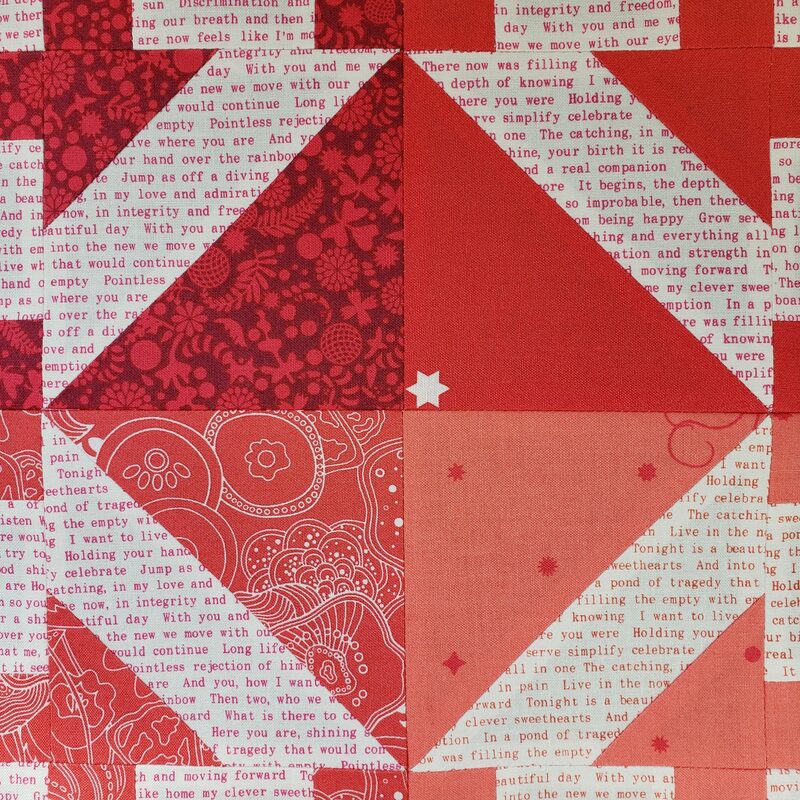 A favorite classic block with an echo that gives you two churn dashes in one block. 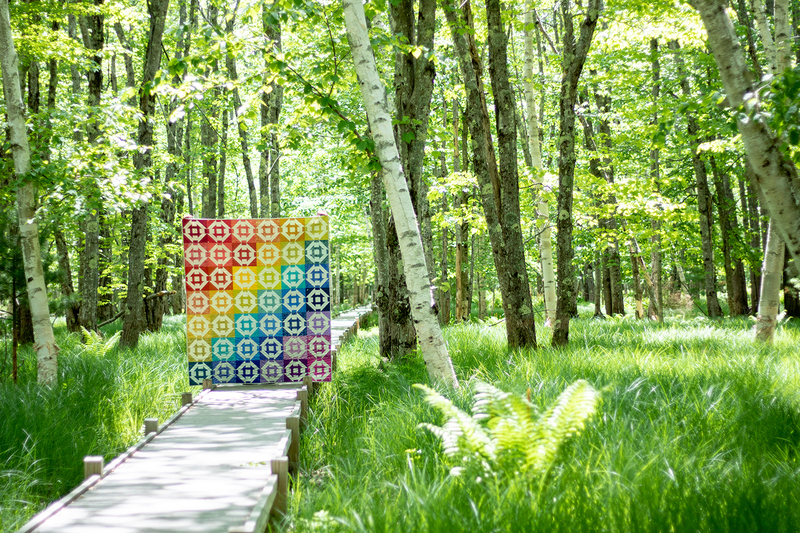 Assemble these blocks into rainbow bands and you have ripples of color. The pattern includes directions to create a single color low volume background as well. 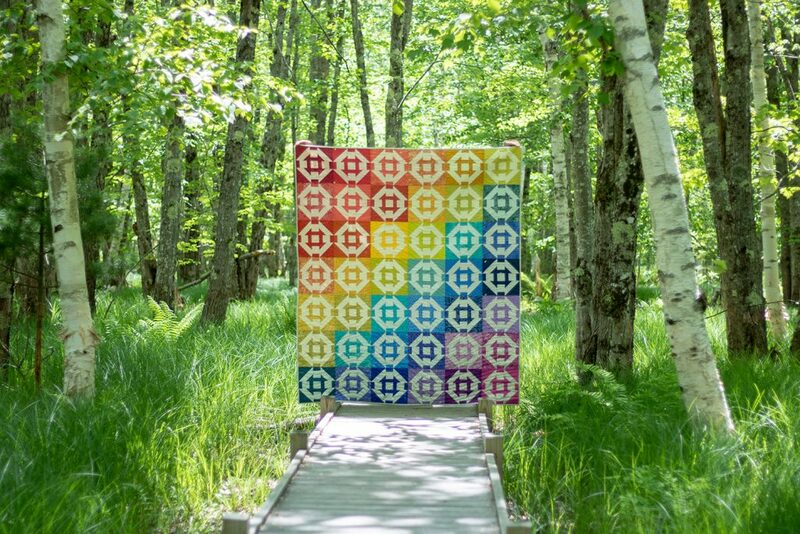 Of course you can create your own Churn Echoes quilt with the fabrics you like. There are so many possibilities with this pattern. 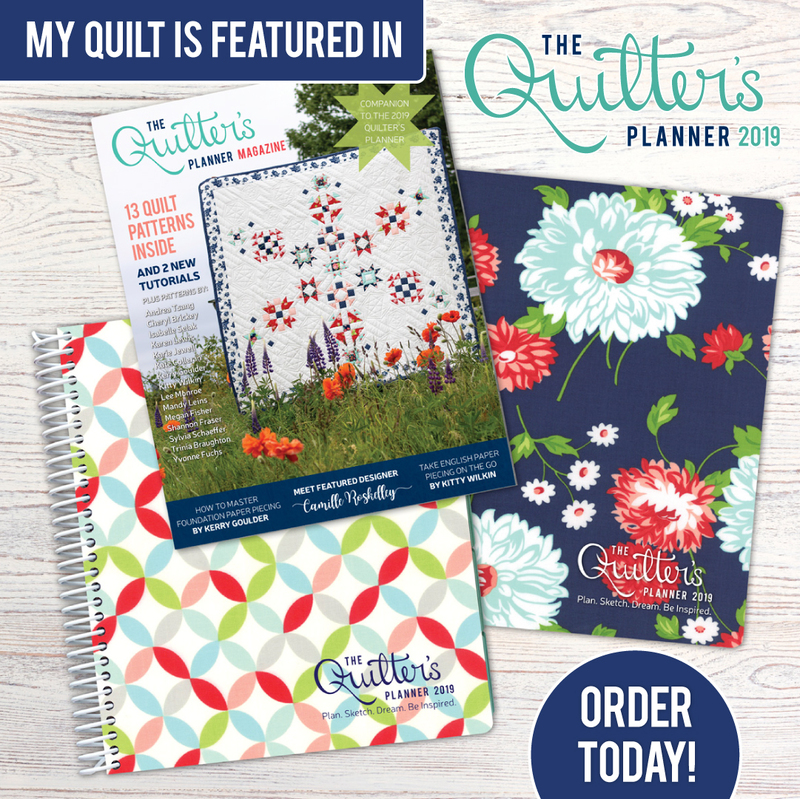 Pre-order your Quilter’s Planner today and choose between two different covers! 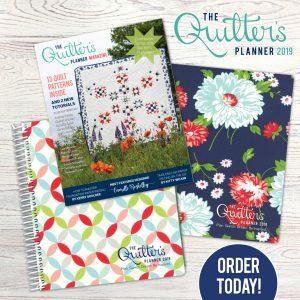 There are 13 patterns in the magazine that comes with your planner…and when you order your planner you will get a bonus pattern to download from your confirmation email!! 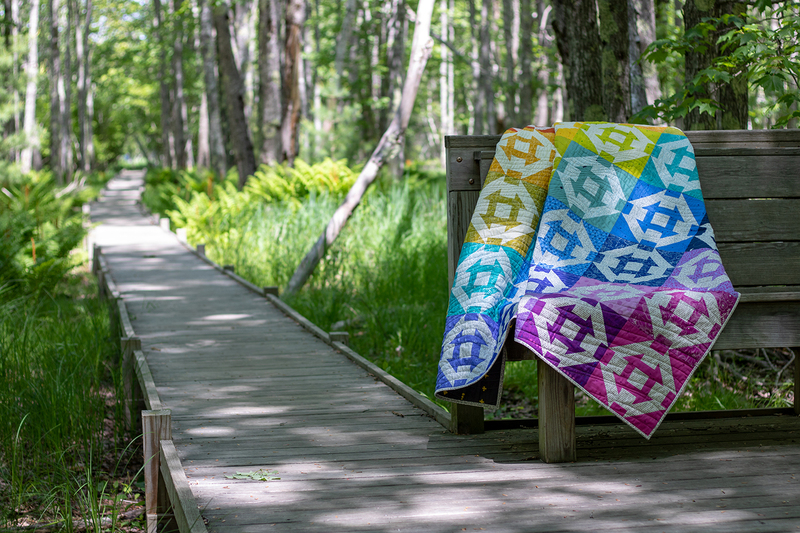 Here is the list of fabulous designer and makers with projects in the 2019 Quilter’s Planner . Visit these fabulous designers and makers to see their projects! What a stunning quilt. I love churn dash. Using rainbow colors makes it that much more interesting. Great quilt, Trinia! !